Amelia Island Beaches | Guide to Fernandina Beach, Summer Beach, American Beach, Little Talbot State Park, Surfing on Amelia Island, Tide Charts, and Beach Rules and Regulations for Nassau County, Florida. Guide to the Beaches of Amelia Island and Public Beach Access Points, Real-Time Tide Charts and Beach Rules & Regulations of Nassau County, Florida. Thirteen miles of pristine beach await you at Amelia Island. Swimming, surfing, fishing, jogging, kite flying, and beach combing are some of the many things you'll find to do on Amelia's beautiful beaches. South Fletcher (highway A1A) is the main road which skirts the coast of the island, and along it you will find many public beach access areas (look for the blue and white signs), some with parking and some for walking access to the ocean. The beach is excellent for sharks teeth and shell collecting. Don't forget to check for new treasures after a period of rough weather. Dogs are allowed on the beach, but within the Fernandina Beach city limits, all dogs on the beach must be on a leash. Main Beach and Peter's Point offers free parking lots. South Fernandina Beach access has limited free street parking. This well-preserved city at the northern end of Amelia Island, Florida's northern-most barrier island, marks the beginning of Florida's "First Coast." Ferdnandina Beach is actually a city in Nassau County on Amelia Island. It is the northernmost city on Florida's Atlantic coast, and is one of the principal municipalities comprising Greater Jacksonville. It's storied past is an intact portion of the quickly vanishing "Old Florida," with a 50-square-block area into an ongoing restoration. The section is a designated historic district in the National Register of Historic Places. Walking around historic Fernandina Beach is a must-do for visitors. Many of the village's buildings are on the National Register, which encompasses a 50-block Historic District, and several Victorian-era historic homes now operate as bed and breakfasts. An evening stroll down Centre Street, the epicenter of the village where many restaurants and shops are located, will sweep you away to a different century. The pristine beaches of Fernandina are located a mile from the center of town. Over four miles of beach with more than 20 public access points lie between the northern-most Main Beach south. Main Beach, with its plentiful parking and facilities, grassy playground and lifeguard stands is especially popular with families that have children in tow. If the Main Beach crowds crowd you out, Peter's Point should be your second choice. It also offers decent facilities. Summer Beach is located at the south end of Fernandina Beach. Access via Amelia Island Parkway (Highway A1A) just south of Fernandina Beach city limits. Beaches are for the use of residents, registered guests, and their visitors only. Summer Beach is actually an upscale resort development consisting of private homes, condos and the Ritz-Carlton Resort on Amelia Island. Many of the homes and condos are available for vacation rental and the Ritz-Carlton is a luxurious resort hotel with 445 units and a 5-Star rating. The Ritz-Carlton has 1.5 miles of pristine beachfront and it is the only mainland Ritz-Carlton that has a champtionship golf course. Other amenities include pools, tennis, croquet, and more. Approximately five miles south of Fernandina Beach on Highway A1A. Turn east at the sign for American Beach. Follow signs. Traveling along Florida's East Coast highway - Highway A1A - between Fernandina Beach and Amelia Island Plantation, you will spy a very plain road sign that point east toward American Beach. Taking the turn will take you through a hodgepodge town of concrete-block bungalows. Purchased by an African-American back in the 1930s and a major aspect of American history, this primarily black beach is located between two upscale white sentinels - the Ritz-Carlton Amelia Island and Amelia Island Plantation. It is located in a poor area that refuses to sell out to the check-waving developers who are anxious to turn it into yet another gated resort. As one of the most historic black communities in the South, the residents certainly have the right to protect it. In the past, if you were white, your presence might turn heads and raise eyebrows, but not so much any more. If you are an African-American and curious about this historic seaside area, you may want to visit on weekends when the beach is more likely to be more lively. With more than five miles of beautiful, white sandy beaches, Little Talbot Island is one of the few remaining undeveloped barrier islands in Northeast Florida. Maritime forests, desert-like dunes and undisturbed salt marshes on the western side of the island allow for hours of nature study and relaxation. The diverse habitats in the park host a wealth of wildlife for viewing, including river otters, marsh rabbits, bobcats and a variety of native and migratory birds. Surrounding surf and tidal streams present excellent fishing for bluefish, striped bass, redfish, flounder, mullet and sheepshead. Other popular park activities include hiking, kayaking, beachcombing, surfing and picnicking. Beachside picnic pavilions are available for use by park visitors and can be reserved in advance for a fee. A campground is located along the eastern salt marshes of Myrtle Creek. Park and historic site, with beach access, campground and amenities on-site. Beachfront park featuring picnic shelters, play structures, sand volleyball courts & restrooms. Public beach and park. This scenic sandy beach that allows fishing and vehicles with permits also offers shower facilities. Waterside park offering picnic tables & pavilions, plus a boardwalk, beach access & showers. There are to be no glass containers on County beaches. No Open Fires from May 1st to October 31st, due to Marine Turtle Nesting Season. Concession license shall be required for the sale or rental of any merchandise, services or goods on the Atlantic Beach area or County -owned or controlled off-beach area. Personal Items Left Unattended Will be Removed and Destroyed. Any items left unattended on the beach between 8 p.m. and 6 a.m. will be declared a public nuisance and will be removed and destroyed. This includes but is not limited to: tents (including tent frames), cabanas, umbrellas, and other shading devices, beach chairs and other furniture, picnic tables, tiki huts, volleyball nets, hammocks, floats, sailboards, surfboards, kites, jet skis, sailboats, water cycles and other watercraft, beach toys, grills, nets, coolers, canoes, kayaks, and general items for beach recreation. Permits for persons will disabilities may be issued by the County Manager. Applicant must have proof of disability. Find more information on permits for persons will disabilities. Unlawful for any person to consume or drink beer, wine or alcoholic beverage at any County-owned or controlled recreation area. Possession of any open container containing an alcoholic beverage is prohibited. Violations are punishable by a fine not exceeding $500 and/or ten days incarceration. Camping is allowed on beaches within the unincorporated areas of Nassau County. A permit is NOT required to camp on the beach. Vehicles are not allowed to remain in County-owned Beach Front Parks between 8 p.m. - 6 a.m.
No vehicles or horses are allowed on the dunes or within designated swimming areas. Vehicular speed must not exceed 10mph and must not be operated in a reckless manner. Dogs must be under leash at all times. Weddings are allowed on the beach, they must follow all ordinance and resolutions. Dogs must be under a leash at all times. Littering is prohibited. View the map of prohibited beach driving areas. Horses shall be under the control of the rider at all times. Horses shall be governed under the established traffic and littering laws. Horses shall not be allowed in public shower or cabana areas. Absolutely No vehicles or horses allowed on the dunes or vegetation. Absolutely No vehicles or horses allowed within the designated swimming or sunbathing areas. Parking for horse trailers shall be within the designated area at Peter's Point Park. Trailers or other conveyance that carry horses shall have a decal attached to the trailer. Horse Permit/Decals can be obtained by contacting Nassau County Animal Control at (904) 530-6150. Four wheelers and all terrain vehicles prohibited except for official use. Recreation type vehicles shall park in designated areas. Recreation type vehicle with tags not issued in Nassau County shall not remain in the park between sundown or sunup. No swimming beyond 300 feet perpendicular to water's edge. No swimming in area designated for personal water craft. No person shall utilize any raft, float, "boogie-board", belly board or other flotation device of any description, except for a boat, surfboard, wind surfboard, sail boat or jet ski, more than 300 feet from the water's edge. Surfboards and/or boogie boards shall at all times while in the ocean be attached to the user by surf leash. Surfboards and/or boogie boards shall at all times while in the ocean be attached to the user by a surf leash. No person shall operate a sail boat, windsurf boards or sailboards closer than 600 feet from the water's edge. Jet skies or motorized boats shall remain at idle speed until they are at least 500 feet in a straight line from the shore area. Personal water craft and boats shall be operated or launched no closer than 1,500 feet in either direction of the lifeguard tower. For the latest and most comprehensive beach ordinances and regulations, please visit the Nassau County website. You can now save money and easily book your tee times at local Amelia Island & Coastal Florida golf courses right here on ExploreAmelia.com. Featuring golf courses on Amelia Island, Jacksonville, and Coastal Florida golf courses and country clubs. We've compiled this comprehensive directory to help you find the right restaurant to whet your appetite, including options for casual dining, local seafood, Mexican, Cuban, French and everything in between. You'll find most of the restaurants clustered near Centre Street, on the western side of the island near the Amelia River, although there are a few scattered around the island off of the A1A that are worthy of a brief drive or bike ride. Amelia's flat terrain and warm ocean breezes make exploring the island by bike a great way to enjoy the fresh air and take in all the history and natural splendor of this fabulous locale. 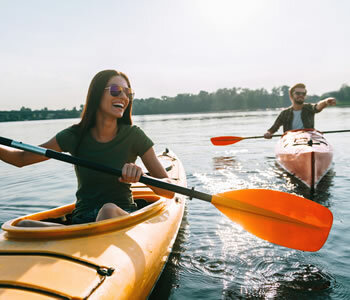 Amelia Island Plantation features approximately seven miles of bicycle trails that will take you to some of Amelia Island Plantation's points of interest such as the Sunken Forest, Aury Island, Drummond Point Park and Walker's Landing. Plantation trail maps are available at Amelia's Wheels. Bike lessons are available for children. 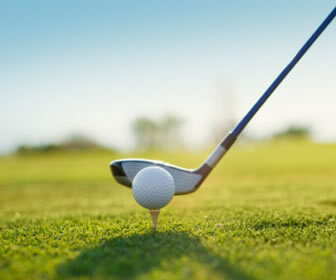 You can now SAVE UP TO 65% and easily book your tee times at local Amelia Island & Coastal Florida golf courses and country clubs right here on ExploreAmelia.com. Featuring golf courses on Amelia Island, Jacksonville, and Coastal FL golf courses. Another innovative website brought to you by award-winning Greenville SC web design firm Stratatomic. © Copyright ExploreAmelia.com and Stratatomic LLC.